51120 is rated 2.7 out of 5 by 3. Rated 2 out of 5 by Not happy 40 from Purchased a 600 watt engine block heater for my Ford tractor. Received a 400 watt heater instead. I needed to get this unit running so I used it. Product was good, just not what I paid for. Rated 1 out of 5 by jmwl from it's only a 600 watt heater I bought this item, which was shipped out in a timely fashion. 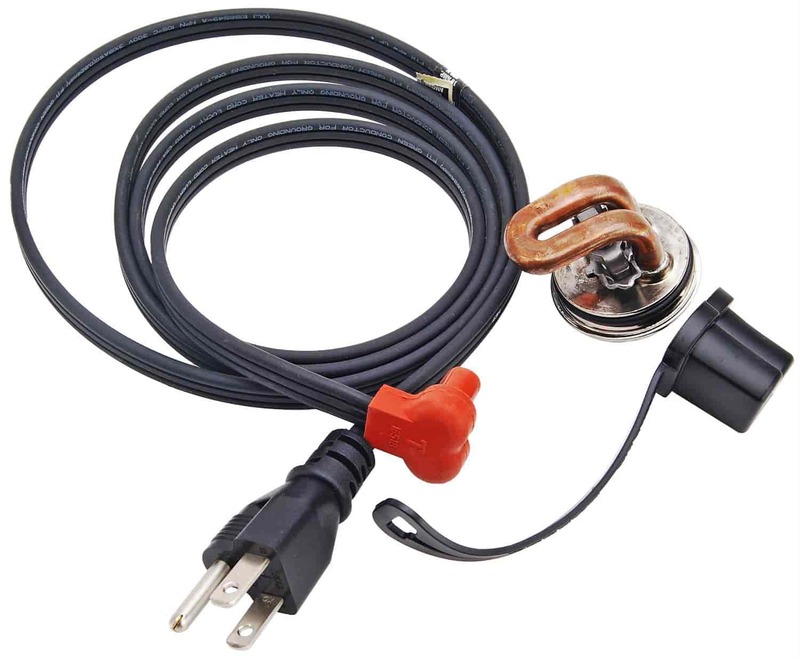 The item is listed as a 1500 watt in the catalog and on the package. When I opened it was only a 600 watt as stamped on the heater.I returned it and it cost me 7 dollars through no fault of my own. They were supposed to contact and let me know if they were mispackaged as I still wanted one. Never heard from anyone. I have a 1974 Slickcraft boat that has a 302 Ford v8 in it and use this into the late fall here in Michigan. IT can get below freezing some mornings white I still have it in the water. What type of heated would be best to keep the engine coolant warm? This item will keep the engine water warm, but I would check with a marine dealer on the rest of the boat - out drive other components that may freeze.